The ability to provide top-notch technical support for all of our Support Team requires a strong philosophy of support and codified practices. That is why we created our own GiveWP Support Manual. Today, we are open sourcing it for everyone to benefit from. Support is crucial to the overall health of any business where customers might need help after they’ve made a purchase. Without great support, customers turn from brand advocates to online trolls with the click of a button. The GiveWP Support Manual was created in response to a rapidly growing and evolving customer base. Over the past several years, I’ve found that we needed more than just a training manual. We needed a philosophy of Support, and a manual to refer to as the standard by which we all hold ourselves accountable as support technicians. In the past, we found that our ability to provide excellent support sometimes depended on the individual practices of each support technician. But what our customers and users expect is that they will get the same high quality, proficient, expert, and yet personable responses from every person on our team. When you think of technical support you probably don’t think of coffee; but when I was considering our Give users’ needs and desire for a consistently high-quality support experience, I immediately thought of Starbucks. Starbucks has an internationally renowned reputation for providing a consistent experience in every store all over the world. Coffee is actually very difficult to master in terms of consistency, but Starbucks made it part of their mission to ensure every cup served delivered on the flavor that their customers expected. But it’s not only the coffee that’s consistent. Everything about the Starbucks experience is consistent and has a similar quality. From the minute you walk in you see familiar items: the counter, the aprons, the coffee accessories — everything has a consistency that is difficult to rival at such a grand scale and quality. While you may not be fond of their particular flavor of coffee, you can’t deny that you know exactly what to expect every single time you see that mermaid logo. In a similar fashion, I wanted to ensure that every support technician now and in the future treats our users with respect, is an expert in our products, knows WordPress inside and out, and loves to interact with people in a relatable, approachable, and yet still in an expert manner. The best way I found to do that was to codify what distinguishes our approach to support in this manual. 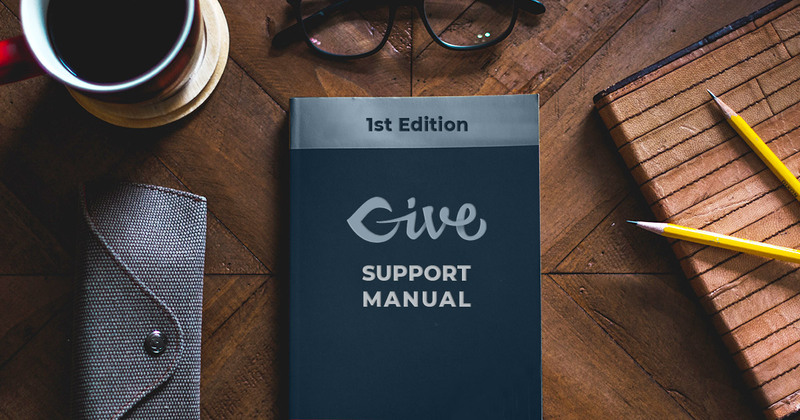 The support manual is hosted on Gitbook. This allows us to make changes that are versioned (via a Github integration). Gitbook also makes the navigation and layout really clean and easy on the eyes. Best of all, if you want to get up and running with your own Support Manual you can fork ours from our Github repo. Each section details how various responsibilities and tasks of support technicians may be handled more effectively and efficiently. Most importantly, the Support Manual helps us be continually reflective and keep our customers happy. Duties of a Support Technician — The very first section makes explicit exactly what we expect from our support technicians in terms of how they benefit our users. In our case, we focus on three major areas: Solving User Issues, Contributing to Docs, and Benefiting our Products. These are broader tasks that every support technician should have in the front of their mind every day they login. If they touch on each of these tasks daily, it’s been a great day. If you are building out a new support team, start with your core duties and everything else should flow from there. Principles of Providing Excellent Support — This whole section is the crux of why I wanted to write this manual. Each section explains in detail what makes for great customer interactions and how to get there and what to avoid. In order to evaluate the effectiveness of your individual technicians, you have to know what excellent support looks like, without this you’re just guessing and evaluations become very subjective. The Tone Guide — This is actually one section of the Principles section I mentioned above, but it deserves its own shoutout. Ben Meredith masterminded this section based on our goal of having an easy to remember acronym that serves as a mental check. Essentially, before hitting “send”, a good support technician is going to run through these items (C.R.E.W.) to ensure their reply is excellent. There are already so many excellent resources in the world on customer service in the large corporate space. But WordPress support has been historically led by accidental support techs — developers who built something awesome then ended up having to provide support for it even when they didn’t want to or were equipped for it. Being a developer doesn’t make you qualified to provide excellent Customer Support. We want to help push the agenda within WordPress that all plugin and theme shops are support-driven businesses. That means dedicating real resources to the skills and expertise of customer support. We hope that by sharing our manual more shops will develop and share their own in true Open Source fashion. Together we can raise the proverbial waters of customer support for the whole WordPress marketplace. Finally, our support manual is a great way to understand what it’s like to work here. Do you want to be part of the GiveWP support team? Now is your chance. We’re are continually looking for qualified and passionate support technicians. Check out our careers page and apply today.